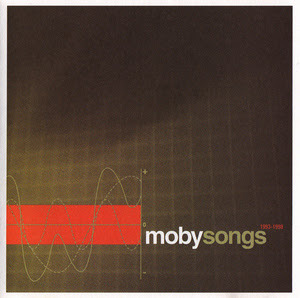 When I`m at Renaissance Montréal, if I see a Moby CD I don`t have, I buy it right away. I`m a little bit compulsive, I`m Moby curious and at 2.00 $ a CD I`m willing to try new things. Before I would buy albums for something like 16.00 to 25.00 (imports anyone). I didn`t have much information about the band / artist but I was curious. I`ve discovered some amazing music and some really awful crap. These days I don`t have the budget to purchase music at that price. Unless I buy one or maybe two CDs. But I can purchase a good bunch for 2.00 $ each. Anyways back to our story so far. That Sunday afternoon I bought 10 CDs and 5 DVDs. I go back home, grab and ice cold beer, sit down, make myself comfortable, and push the play button on me CD player. This sounds like something I hear before. You know this potent mix of electronic, house, techno, ambient, downtempo, with some nice old funk & jazz samples / vocals thrown in. The second song `go` starts. It`s the same version as the one on the `I like to score` CD. I`m reading the information then I realize this is not a new album. It`s a compilation of tracks recorded between 1993 - 1998. The material`s taken from the following albums: Move, the EP (1993), Everything is wrong (1995), animal rights (1996) and I like to score (1997). Recommended if you never heard Moby`s music before.